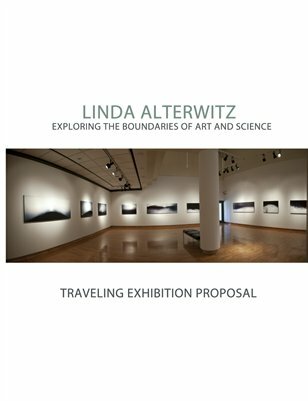 Linda Alterwitz Traveling Exhibition Proposal Exploring the boundaries of art and science, this publication features a traveling exhibition proposal of the work from the series FLESH & BONE by Linda Alterwitz. Each photograph is created using canine medical imagery. Bone, muscle, internal organs, and foreign devices used to repair their bodies, such as plastic sutures, metal screws and plates hidden below the skin, are uncovered. When ethereal landscapes of hills, valleys and horizons are examined more closely, a different kind of world is revealed - an internal landscape comprised of flesh and bone.